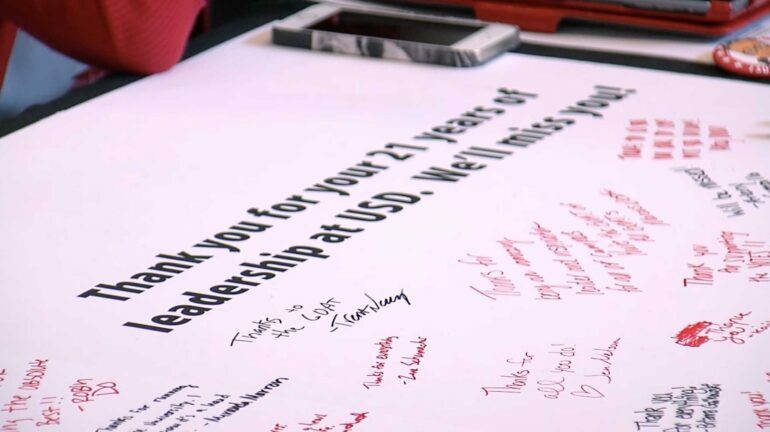 The USD community is coming together for Giving Week after President James Abbott announced his retirement last fall. Teagan McNary, former SGA president and political science and criminal justice double major, said the main goal of the week is to fundraise for the James W. and Collette Abbott scholarship endowment. The main source of fundraising is selling Abbott-moji buttons for a minimum of $5. Throughout the week of fundraising, the student-led group said they’re hoping for 500 donors for the James W. and Collette Abbott scholarship endowment. 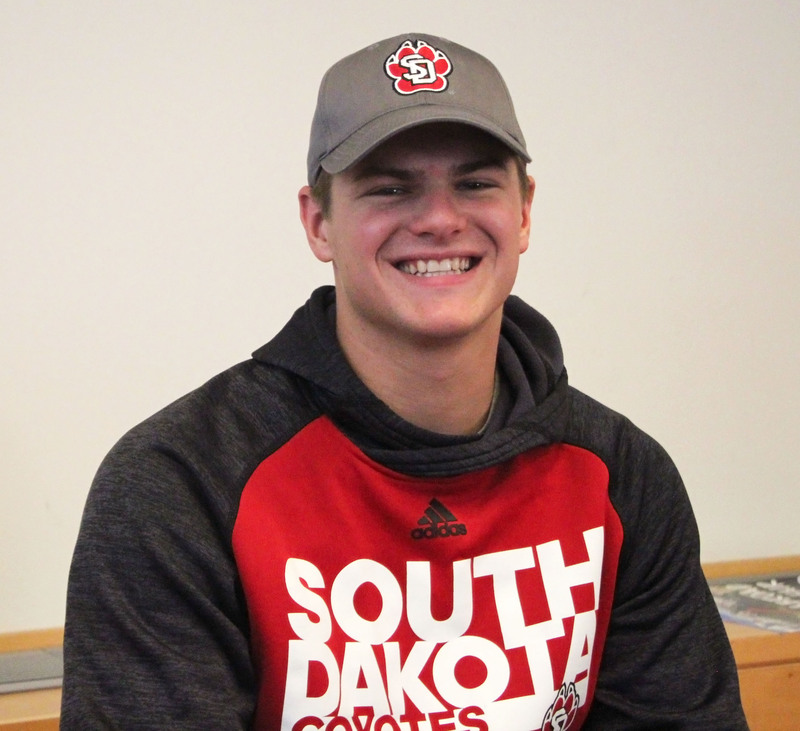 The USD foundation started the idea of the scholarship endowment and Sami Zoss, associate director of constituent engagement, worked with McNary and Conrad Adam, a senior finance major to discuss the student activities for the week. McNary said she’s been meeting with Adam for around a month to ensure that Giving Week is a success. Founders Day activities include Donuts and Donations, Founders Day Food Truck Friday, President Abbott + Free Cake = G.O.A.T. and the Spring Football game all on Friday. As of Tuesday night the James W. and Collette Abbott scholarship endowment has raised more than $2,200 with around 100 donors.